So many finds it difficult to download youtube videos, but as a person who loves to watch online videos, there are time you may want to watch your videos offline or the internet subscription might not be enough to keep watching it over and over again so in this way all you need to do is to save the video offline for future purposes. let’s assume, you get a video tutorial for configuring any device or a video about recipe and you need to watch this video again and again in future. In this case, it is always better to download this video in your local disk and watch the video whenever you need. So here in this tutorial I will show you one of the easiest ways to download YouTube video file with your Mozilla Firefox browser, using YouTube video download with Mozilla Firefox extension. Mozilla Firefox is a popular browser to any online user. It is said that no online user can go a single day without Mozilla Firefox browser. Mozilla Firefox is a free and open source browser by Mozilla Corporation. It is now available for most of the operating system like Windows, macOS and Linux operating system. So, you can easily download and install Mozilla Firefox browser in your favorite operating system so easily. Mozilla Firefox has a lot of features which has increased its power more along with its awesome looking. It has an excellent feature to integrate various extensions with it for increasing its functionality. So, if you are a Firefox user, you can easily add YouTube Video and Audio Downloader extension which will help you to download any YouTube video or audio file so easily. If you are interested to download YouTube video or audio files with the YouTube Video and Audio Downloader extension, follow below simple steps to integrate this awesome extension in your Mozilla Firefox browser. Go to YouTube Video and Audio Downloader page by clicking this link. Be careful to open this page with Mozilla Firefox browser otherwise you are not able to add this extension in your browser because this extension only works with Mozilla Firefox browser. Find and click on Add to Firefox button. A pop up window will appear as soon as you click this button and your add-ons will be started downloading. After completing download, click on the Install button which will appear within the pop up window. Within a few seconds installation and integration of YouTube Video and Audio extension will be completed. 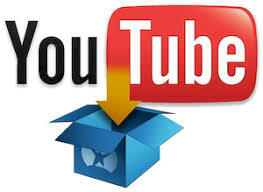 Now go to YouTube and open your desired YouTube video. You will see an orange color Download button at the bottom of your video. Click on this Download button and you will see various file format options at the right side of your YouTube video. Choose your desired file format and click on it. Your video file will be started downloading immediately in the default download location of your Mozilla Firefox browser. Simple and necessary steps to add YouTube Video and Audio Downloader extension in your Mozilla Firefox browser has been shown here. If you do these steps carefully, you will be able to download your favorite YouTube video with the YouTube Video and Audio Downloader extension so easily, I hope. ← Gionee to Launch New Smartphones With Face Unlock and 18:9 Displays.